So this evening I did something totally out of my comfort zone: I soul cycled. Yes, this was a big deal for me. In the past I use to come across the building splashed in yellow on my social media timeline. I always thought to myself, “Hmmm, one day I’ll give this place a try”. Now I am no where near close to being a gym rat, but I have realized that health is definitely wealth. I think it is important to challenge and push your body to do things that are out of the norm. A coworker of mine encouraged me to join her and I agreed. The whole day I was dreading going. Thinking of ways to bail out or come up with a good enough of excuse but it never happened. When the clock stroke 5:30pm it was game time. Suddenly, I was surrounded by all these cycling experts ready to get their soul cycle on for the hundredth time. Class had begun and everyone started peadling for their life including my coworker. I soon began speeding up my peadling in an attempt to catch up with the class. I was panting, out of breath, ready to wave the white flag. But then I realized in that moment there was no need to rush. Who was I in a race with? These cyclists who didn’t even know my name? I changed my speed, went at my own pace and enjoyed the class. I realized when I started focusing on my own rhythm, the class became more enjoyable. 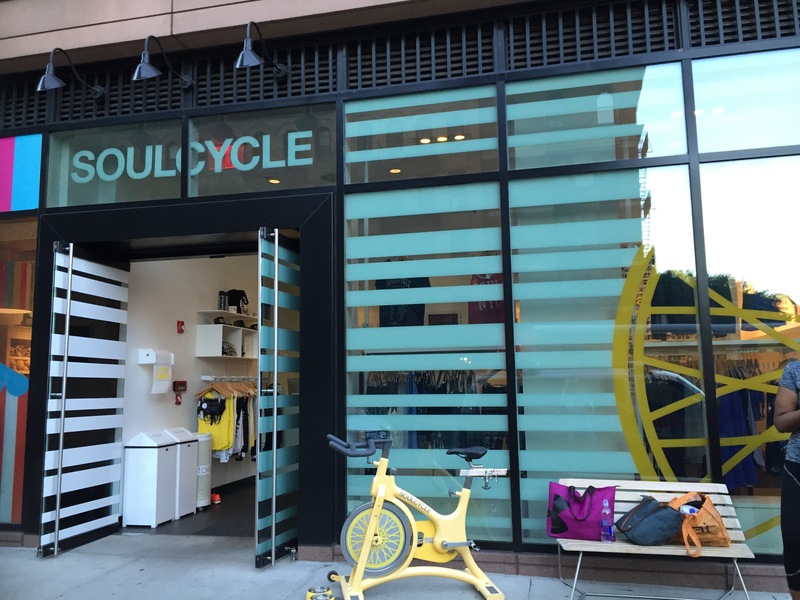 I was in my own soul cycle zone. I love cycling, though I don’t get to do it enough these days. When I was in high school my parents did a road trip to the west coast and we went through the rocky mountains. While there, we passed a senior citizens bike tour – through the freaking mountains!!! I realized one of the things you mentioned. Cycling is something anyone can do, you just need to do it at your own pace. Wow what an experience!! That sounds like something I would like to do in the near future! Thank you for reading!! Wow thank you!!! Will do!!! Thank you so much!! Yes boo!! Yessss! We gotta fall in love with with our own rhythm..